Baking is fun! 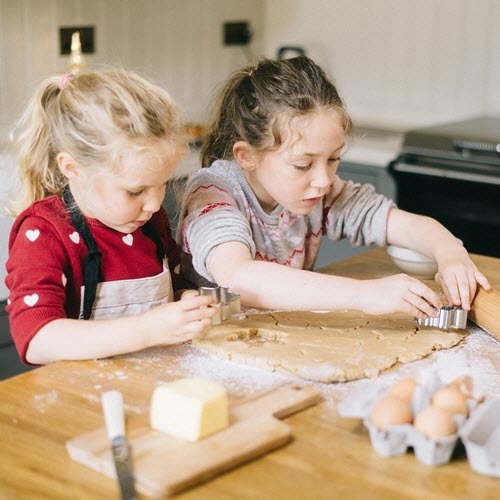 You can even get your kids involved and help them learn to bake. Baking subscription boxes are the perfect way to try this out. There are plenty of these boxes to choose from. 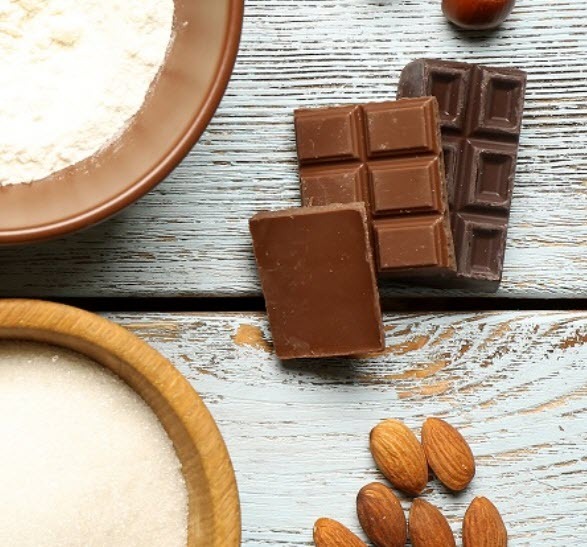 While the companies all have different features and styles, most follow the general approach of providing you with various ingredients that can be used to bake at home. Most are suitable for kids or for adults. Check out the list to see the wide array of boxes for you to choose from. We’re also highlighting their key features and pricing details – to make it easier for you to work out the best choice for you. PPS. 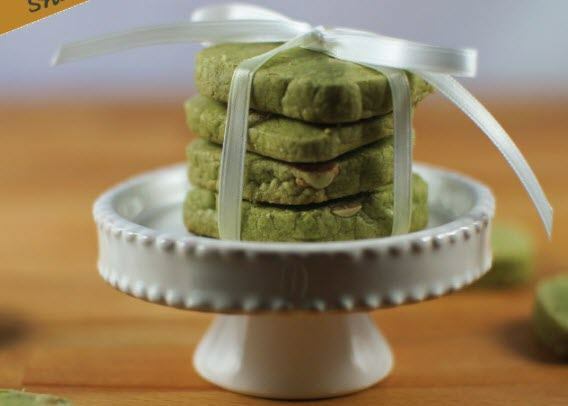 If you've got a sweet tooth, you might like macarons, cakes and cookie subscription boxes. Yeah, you can get anything delivered nowadays. This subscription box offers pre-measured ingredients and easy-to-follow recipes. 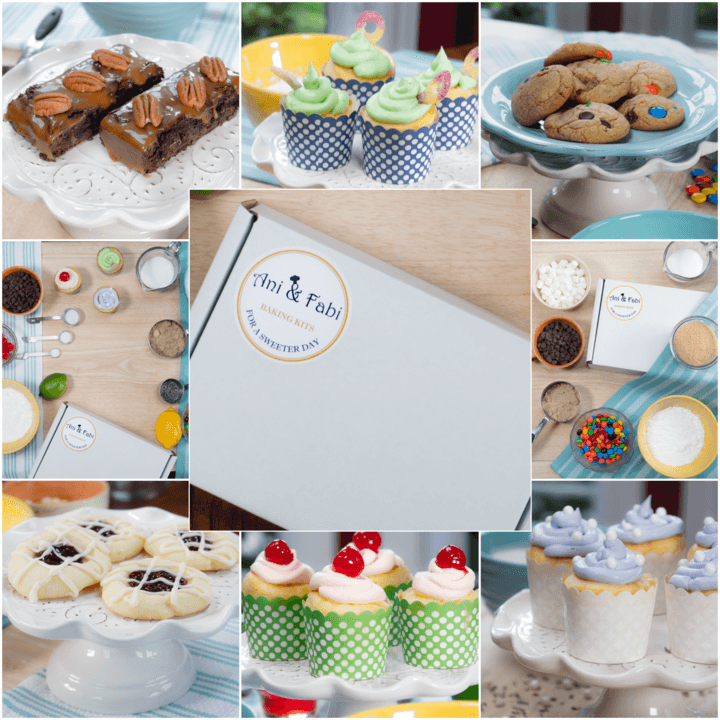 Whisk Takers is an ideal box for anyone just getting started with baking. All of the ingredients are provided for you in the right quantities. You’re also provided with recipes to follow. The subscription isn’t just for adults either. You could use it as a way to introduce kids to baking while being certain that the finished product will turn out well. You also get some choice about what you subscribe too. Whisk Takers offers a Best Sellers subscription and also a The Works subscription. As you can probably guess, the Best Sellers version focuses on the popular boxes, while The Works has a wider variety. Regardless of the type, you're paying $18.99 for a month-to-month subscription. This drops down to $17.99 if you pay for 6 months up-front. All of the ingredients are non-perishable, so there's no need for you to be at home when the box arrives at your door. 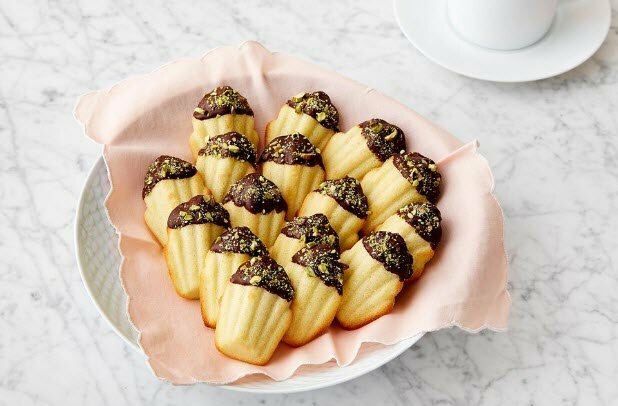 This baking kit company allows you to make some amazing desserts. 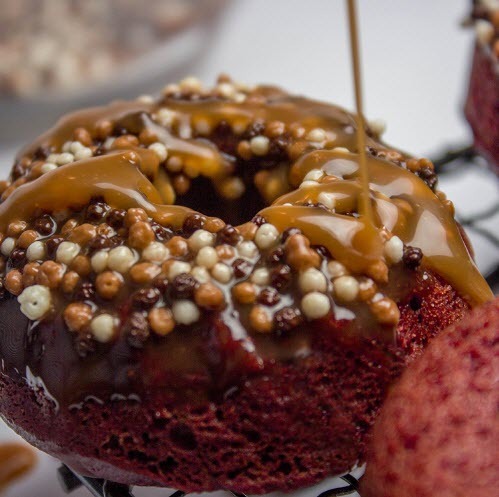 If you’re interested in desserts, Red Velvet NYC is the company to choose. The recipes are designed to be kid-friendly, while still being more interesting than regular recipes that you’d make at home. Their boxes provide you with all of the ingredients that you need. The company even provides details about how to style the finished desserts so that they look professional. With the Red Velvet NYC subscription, you’re receiving 2 different baking kits each month for $49. The boxes turn up on the first Thursday each month. Don’t worry if you’re new to baking – there are step-by-step instructions included. The site even provides examples of boxes, so you know what to expect. For example, the box from January contained kits for lemon cupcakes and for flourless chocolate pecan cookies. The planned box for February has whoopie pies and flourless chocolate cake. You can also order dessert kits individually from the site. Here’s another box that provides you with sweet treats. The Mix Box by Homemade Bakers is another interesting choice. Once again, you’re receiving pre-portioned ingredients and a recipe card, along with anything else you need. Everything is clearly labeled, so there is no guesswork involved. The company announces boxes a few months in advance, showing you what to expect. This includes red velvet whoopie pies for February, mint chocolate chip cookies for March and banana bars for April. A subscription costs $24.95 per month. Shipping is already included in that total. You can also order for a longer term subscription, which may save you a little money. There’s only one limitation – availability. The subscription box often sells out, so you’ll need to get in early. This subscription is Canada-based and is a great way to get children and adults baking more often. The Innocent Baker has a very professional site, with a strong emphasis on creating gourmet baking. It is the first such subscription site in Canada and even offers $5 flat shipping across Canada. The monthly boxes contain all the shelf-stable ingredients that you need (pre-measured, of course). You’ll still need to get any perishable items, like eggs. Boxes can be purchased individually from the site if you want to try the service out or have a particular type of baking in mind. There’s also the subscription box. This costs $49.99 if you’re paying month-to-month. The average monthly price decreases to around $45 per month for the 3-month pre-paid plan and $42.50 for the 6-month. This company is smaller than most and offers a kit that is designed for children. 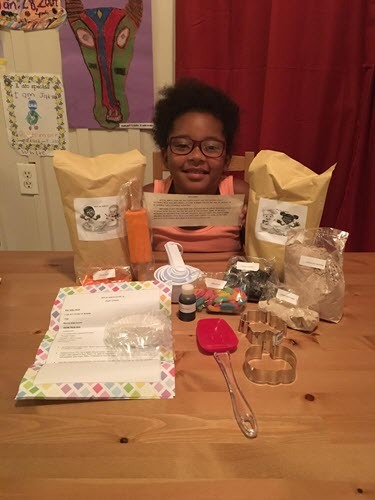 As the name suggests, My Lil Baker provides baking subscriptions for kids. 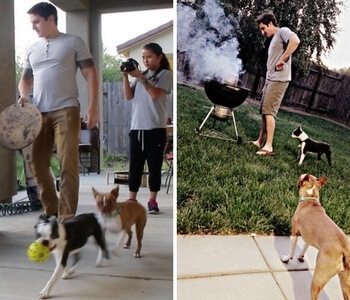 This includes the use of kid-friendly recipes that are simple to follow. The end result isn’t as gourmet as what other companies offer, but should be easier for children to work with. Subscribing costs $27.99 per month if you pay each month. There is a slight discount for paying ahead of time, but this is minimal. Another notable fact is quality. My Lil Baker appears to be a smaller company than most other options. There are few images of the kit that you receive or the finished baking. The images that are present suggest that the quality is similar to what you might find at a local craft fair. This subscription service provides 2 different recipes each month. Ani & Fabi is an excellent choice if you’re looking for variety. The company ships out recipe kits for 2 desserts each month. These are hand selected and you don’t know what they’ll be ahead of time. Kits can also be ordered on their own from the site. You can flip through the options to see what you’re likely to get sent. The pages also contain details about what is found in the box and what you need to provide yourself. The subscription program itself costs $55 a month for the regular version or $65 a month for a gluten free version. Pre-paying for your subscription will save you 5%. That brings the average price down to $52.25 and $61.75, respectively. Here’s an option that is focused entirely on cookies. The Sweet SugarStar Cookie Artist Toolbox takes a different approach to baking. It doesn’t provide an entire kit that you can use to make your own baked items. Instead of doing that, the monthly boxes offer a selection of items that can be used for cookie making. This includes sprinkles, stencils and cookie cutters. Each month is also themed, making the entire experience even more entertaining. Sugarstar even mentions that they will replace any duplicate stencils or cookie cutters that you receive. That’s an unusual offer. The subscription follows familiar patterns. You pay $35 each month on a month-to-month basis. Pre-paying for 3 months costs $99 (an average of $33 per month), while doing so for 6 months costs $186 (an average of $31 per month). Foodstirs features some fun and unusual baking kits that you won’t see elsewhere. 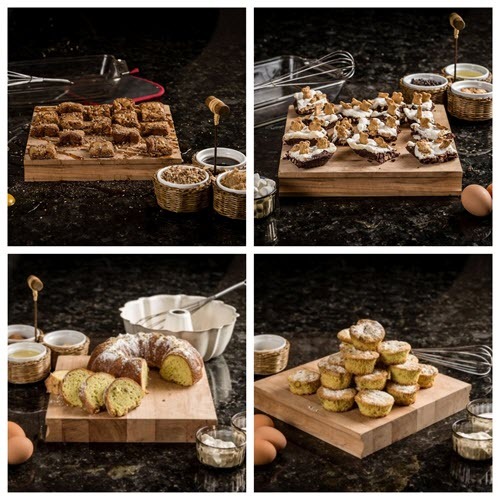 Foodstirs is a very good choice if you want natural baking that is enjoyable and exciting. The included ingredients all rely on natural flavors and colors, while the mixes are non-GMO, organic and fair trade. The kits also include the various supplies that you’ll need, including pastry cups, molds and cookie cutters. Even the recipes are simple – focusing on 6 easy steps. Then there’s the baking itself. 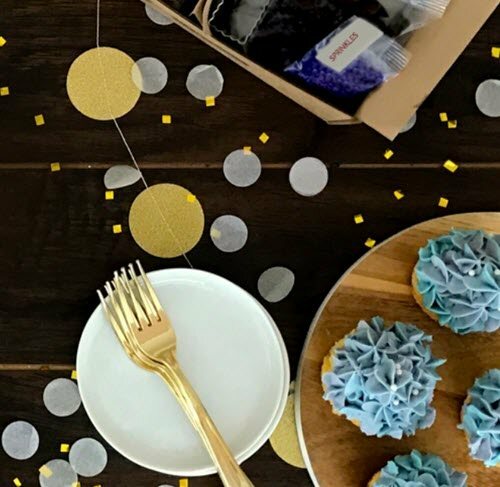 Foodstirs has some truly unusual selections like a Monster Cookie Bash Kit, Rainbow Cake Pop Kit and Sweetheart Brownie Kit. The recipes alone are a good reason to try out the subscription. The options from other clubs are typically much less interesting. Foodstirs ships out the kits every second month. The subscription options are for 1 kit ($24.99), 3 kits ($24.34 per kit), 6 kits ($23.34 per kit) and 12 kits ($22.01 per kit). You can also order baking kits and related items individually from the site. 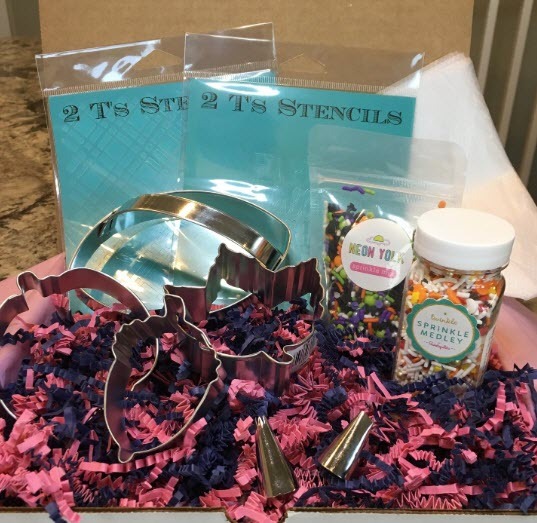 This is another enjoyable subscription box and provides you with 2 kits per shipment. SoBakeable is a well-designed choice, offering a range of desserts with ingredients in clearly labeled bags. 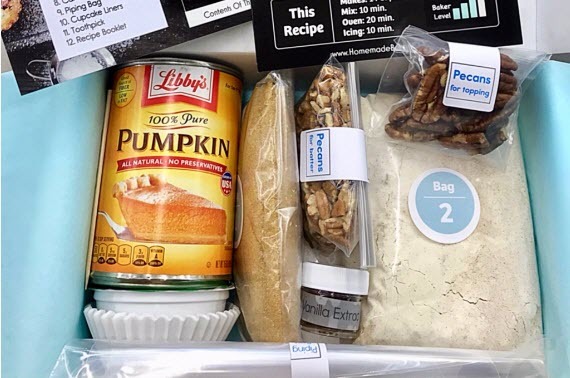 The subscription ships out every 2 months and you get 2 baking kits in each shipment. If a tool is needed to make a recipe then it will be included in the box, along with all non-perishable ingredients. You’re paying $29.95 for each shipment (plus shipping fees). There are some discounts if you order a longer subscription. This is a box to keep an eye on – as they sell out quickly. There’s also a mobile app. This provides more detailed instructions for each recipe, along with photos and a video tutorial. These aspects provide even more guidance for making the sweet treats. The baked treats from this company are a little more unusual and refined than most. The best way to describe Whisk & Flour is as an elegant baking kit company. They still provide pre-measured ingredients, but the food you make is distinctly different. Recipes include Cherry Pistachio Biscotti, Matcha White Chocolate Shortbread and Aztec Hot Chocolate Brownie Cookies. The boxes also include a bonus item for your kitchen. It’s easy to see why this box is so popular. Most of the other boxes focus on relatively simple treats, ones that many bakers will already be familiar with. Whisk & Flour provides the chance to try out something unusual. The subscription is also inexpensive, costing just $28 per month. That’s less than most other programs. The boxes look amazing too. Unfortunately, Whisk & Flour is at capacity right now (at the time of writing), so you’ll need to sign up for the waiting list if you are interested. This subscription is focused on the idea of fun and works especially well for kids. 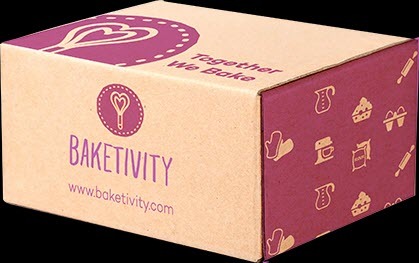 Baketivity highlights the idea of baking as an activity for kids and their parents. The kits are even designed by parents, so you know that they’ll be enjoyable for the entire family. Your subscription goes beyond just baking – as each box also contains a lesson and either a game or an activity. Many of the kits are sold individually on the site too. You can check these out for a sense of what you’ll receive each month. At present, the subscription costs $24.96 on a month-to-month membership. You can also order a 3, 6 or 12 month membership, but the price per month ends up similar. The current pricing structure is at 50% off regular membership, so the cost may return to the original prices at some point. All Things Baked has multiple subscription types to choose from. All Things Baked aims to teach you to bake and help you to improve your skills along the way. The monthly boxes provide most of the shelf-stable ingredients that you need, along with a recipe card and appropriate decorations. There are also 3 subscriptions to choose from. The Baker Box costs £9.99 per month, the Gluten Free Box costs £14.99 per month and the Vegan Box also costs £14.99 per month. As the pricing suggests, the company ships within the UK only. The site does have a gallery with images of baking and some boxes. Beyond this, there are no clear descriptions of the types of recipes that you will get each month or precisely what is found within the boxes. This UK-based company has an unusual number of subscription types. Honeywell Biscuit Co. is another company that doesn’t just stop with a single subscription program. They actually have 4 different baking options: The Bread Bakers Club, the Young Bakers Club, the Bakers Club and the Family Bakers Club. The first 3 of these start at £10.99 per month, while the Family Bakers Club starts at £19.99 per month. The Bakers Club is simply a typical baking club, offering dry ingredients and a recipe card. The Bread Bakers club operates in a similar way, except that it focuses on bread. The Younger Bakers Club comes with a puzzle or activity as well as the ingredients and recipe card. Finally, the Family Bakers Club contains a box from the Bakers Club and a box from the Young Bakers Club.